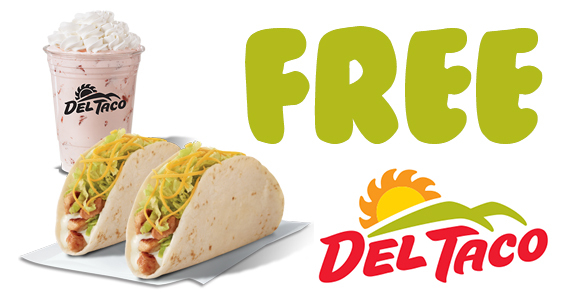 When you sign up with Del Taco you’ll get your choice of 2 Del Tacos OR Grilled Chicken Tacos for absolutely free. You’ll also get a free premium shake on your birthday (Vanilla, Chocolate or Strawberry). Don’t miss out on offers, coupons and opportunities to try new products, so sign up today!